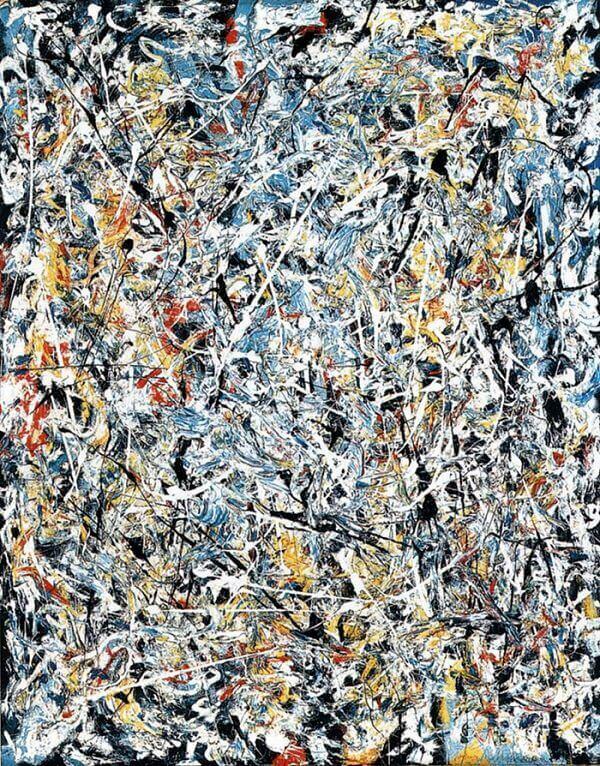 Jackson Pollock painted White Light in time of Abstract Expressionism development. 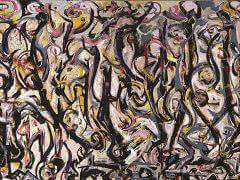 Jackson Pollock is motivated by Picasso during that time period. 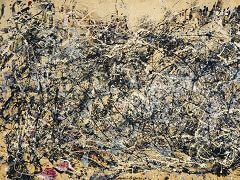 Through experience experiencing Dadaism, Surrealist development, Jackson Pollock created the style of unique painting which concerns the engagement of entire body in the demonstration of painting. 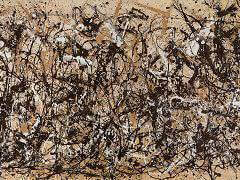 Jackson Pollock moved far beyond tradition and produce picture with insubordinate and agnostic feeling. Drip painting is inspired by Navajo sand painting. 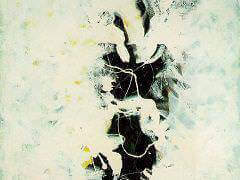 It depicted the artist's feeling and emotion without any restriction to theme. There is not a specific topic to be identified. 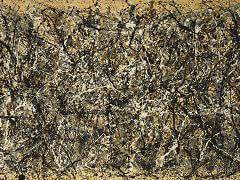 When Jackson Pollock was making the painting, he concerned the shape and line. Also, he used some new medium and tools to create the special effect of chaotic and shades. 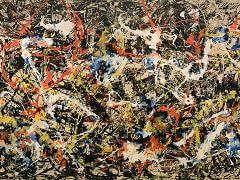 Unlike some classical artist, Jackson Pollock did not use oil or water color as his main medium. Instead, he made use of housepainter's paint, enamel and aluminum. 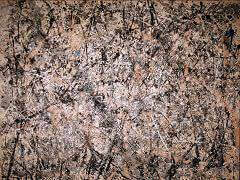 In terms of tools, instead of brush and easel, Jackson Pollock used wood stick, floor brush and knife as his tool. With these tool and color, he extended the texture of the painting further to express different feeling. 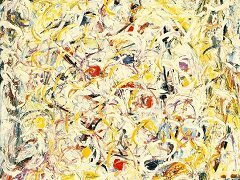 Jackson Pollock mixed sand, grass and wood into the color paint to make relief and raw texture.